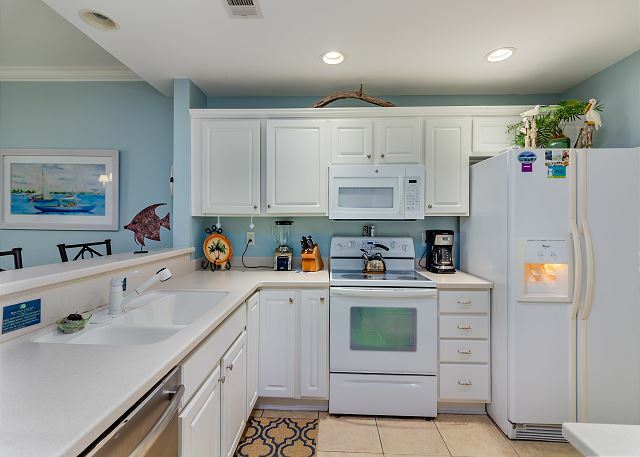 Celebrate the beauty of Tybee and the beauty of family in this condo with enough room for everyone! This spacious three-bedroom, two-bath unit sleeps as many as ten people, with plenty of space for family time OR alone time! 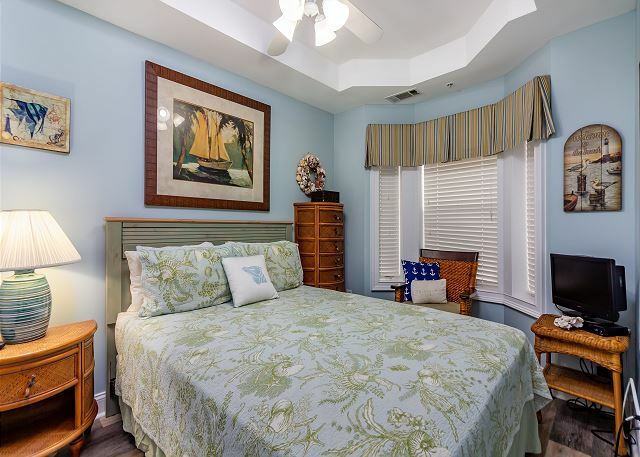 The master bedroom boasts a king-sized bed and attached master bathroom, in addition to its own private oceanfront balcony. The second bedroom has two queen-sized beds and plenty of floor space, while the third has a full-sized bed. The second and third bedrooms are just steps away from the shared second bathroom. Finally the comfy couch in the living room opens into an additional queen sized bed. 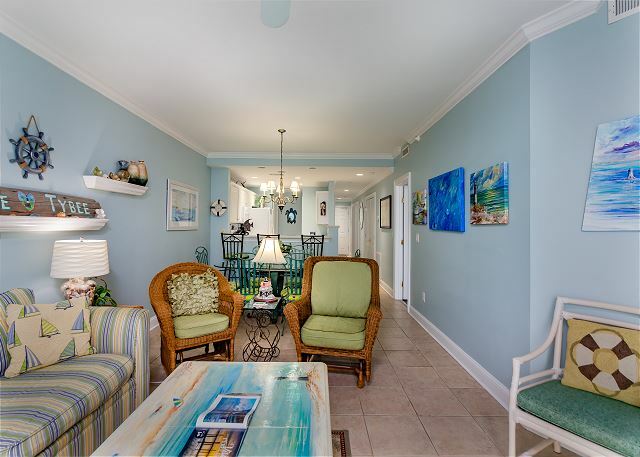 The entire condo is resplendent in soothing tones of blue, green, and yellow, and reflects a love of this beautiful island, and incomparable view of which you can enjoy from two private balconies. Condo was beautiful & clean. Great location. Great balcony looking at the ocean. Office staff was very pleasant. We had a wonderful stay at Beachside. We fit 8 people comfortably in one of the 3 bedroom condos. The office staff is very friendly and helpful if you need anything. Maintenance arrived quickly to fix something as small as a loose doorknob. The beds were very comfortable. The view was amazing. We will definitely stay here again. We enjoyed our stay at Beach House # 423! There were 6 of us and we had plenty of room. A couple of the girls decided to share a bed in the room with two beds, and slept fine so we didn't even have to pull out the sofa bed. The walk to the beach was easy, the view from the balcony was great. There were no problems with the room, everything worked fine. It was very clean. We would've liked the chairs in the living room to be more comfortable, since it was college football opening weekend we spent a lot of time on Saturday in front of the TV. We ate at the restaurant on the property twice and the food was delicious. We enjoyed the pool, it was clean and inviting. We will definitely stay here again. Although it wasnt the room we requested and booked...the condo we were put in had a lovely view and rather easy access to the beach or pools. The condo was clean for the most part...but for what wasnt, Donna, the cleaning crew angel made it right. Immediately I might add. The beds were great and my family enjoyed our time there at Beachside as usual. This is the only place I will stay while on Tybee. Beachside is our 2nd home and we love it !! 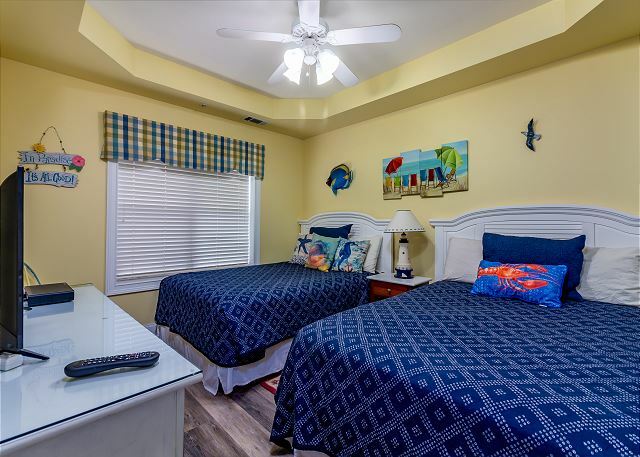 We love staying at Beachside Colony Resort. 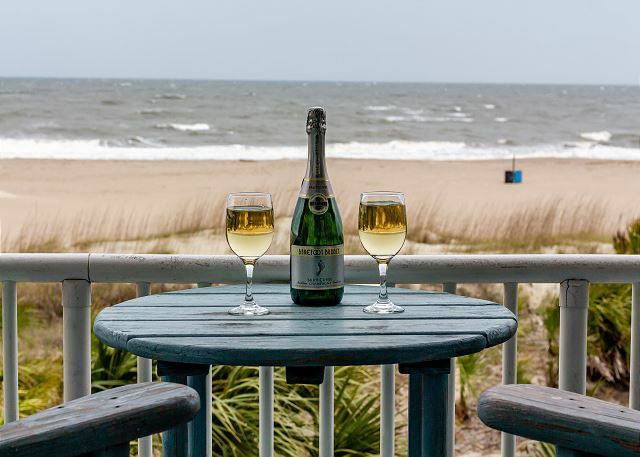 The location is one of the best possible locations for a beach vacation. We had an ocean view from our bedroom and the living room. We were steps away from the ocean. The staff was very friendly, very professional and always helpful. 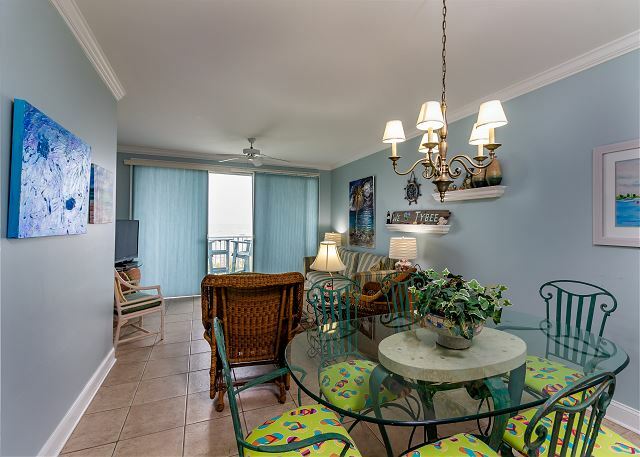 The condo was exceptionally clean and beautifully furnished and maintained. Located at mid-beach, it was the perfect place for a family vacation. We had access to three beautiful swimming pools and a wonderful restaurant. Definitely recommend this property to anyone looking for the perfect beach vacation. View excellent. Condo well decorated. Towels very nice. Need additional and better quality cutlery. We arrived at Beach Colony Condo on Sunday 6:00 pm -Tuesday 9:00 am. Check-in was easy Condo was clean, some Minor issues were taken care of promptly when addressed! Enjoyed our stay. Review by Mary A K.
Absolutely no complaints from 7 women who took their first trip together to Tybee Island. Visit was good. 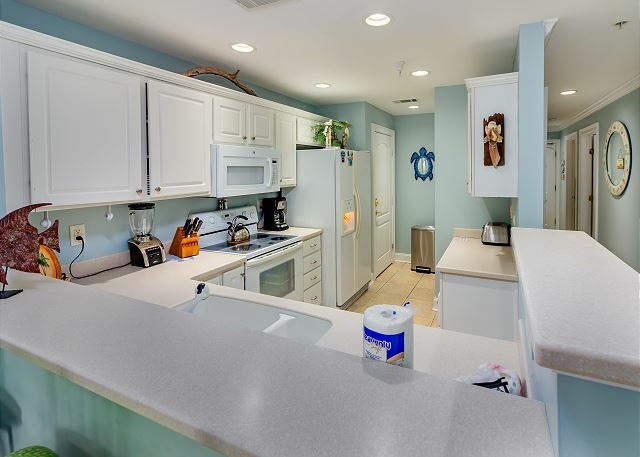 The location of the unit was very convenient to Tybee Island and surrounding area. The condo was nice and fulfilled our expectations. The restaurant Marlin Monroe's staff were not very friendly.Actually we chose not to go there after a couple of visits. The one issue that was not pleasant the trash containers at the resort smelled really bad, and when sitting around the pool you had to find a location that so bad. We had a wonderful family trip! This was our second time staying at Beachside Colony and will be back! We love the location and the pool. The condo with its oceanfront balcony was fantastic. The only negative thing I can say is that the floors were not very clean; our feet were quite dirty after walking around the condo. Otherwise it was a beautiful place. We had a great time. My second time staying st Beachside Colony. The condo was nice, but not nearly enough silverware. We had to wash dishes after each meal. This was an amazing beach rental! We had 10 people, and it accommodated us all comfortably! It's in a great central location. Everything was with 5 minutes of our beach house! The staff is very nice and helpful! One day the key reader on our door messed up, and the maintenance man actually climbed the balcony to get us in until he could fix the door. Nice place. Right on beach. We originally rented a condo but the elevator was not working and we had a person with disabilities with us. So after a very long drive, we learned we would have to get another room 🙁 They gave us a room at Beachside colony. the place was ok but not as nice as we were expecting with the condo. Not alot of room. We had 6 people and were cramped. Not room for us all to set in living room. This was our first visit to Tybee and besides all the issues with the room and the front staff acting like we were inconveniencing them for wanting something equal to what we originally rented, the stay itself was nice. We had a wonderful time staying at Beachside Colony. Pam was fantastic getting us what we needed to make our stay comfortable. 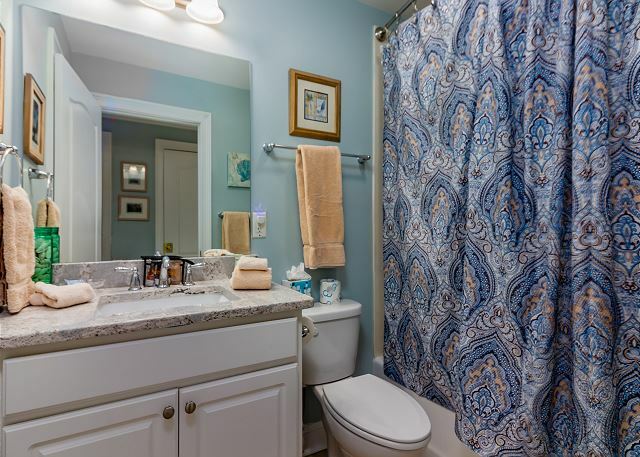 The place was very clean, but can use a new shower curtain in the master bath. The living area was a little small for the seven of us, but our overall stay was pretty great. Review by J David M.
Great stay with many family members. A great location for Tybee. Love the beach access. We like the downtown area. Great for biking. Most negative would be the dated condo. This one had beach front view, but just wasn't as inviting and clean as our previous condo. We will stay in a different one next year. A very nice stay. Condo was comfortable and clean. Tybee time is our best time. Have been enjoying our stays at Beachside Colony for over ten years and hope we will be able to come back for at least ten more. Excellent location on the north end of the island for convenient trips to Savannah as well as many restaurants &boat tours. 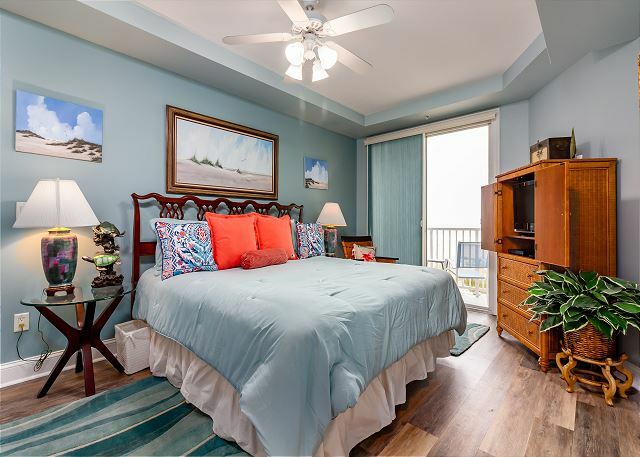 Property is in great condition with all the amenities of home but note that unit is located on the 2nd floor, not the 4th as incorrectly assumed by the unit#. We had no issues requiring management intervention other than assistance with the WiFi for the kids' electronics. We enjoyed beautiful sunrises on the beach each morning but perhaps a higher floor unit would afford a sunset-view from the front door as well? We did not mind missing a few sunsets to relax on the balconies & enjoy the quiet of the beach. The pools were relaxing but quite small for the # of units accessing the area but great to have the restaurant & bar on the property. We have recommended Beachside Colony to many friends already & look forward to our return next summer! Family of 8, 3 adults and 5 kids. Location was great, rented bikes-able to bike short distance to anything on the island. Pools, outside shower coming from beach to rinse beach items. Direct access to beach. Condo had two terraces, very clean, had everything we needed. Kids loved it. Check in/out extremely easy. Awesome all the way around, as always. We come every year and always leave happy and ready to plan our next vacation. 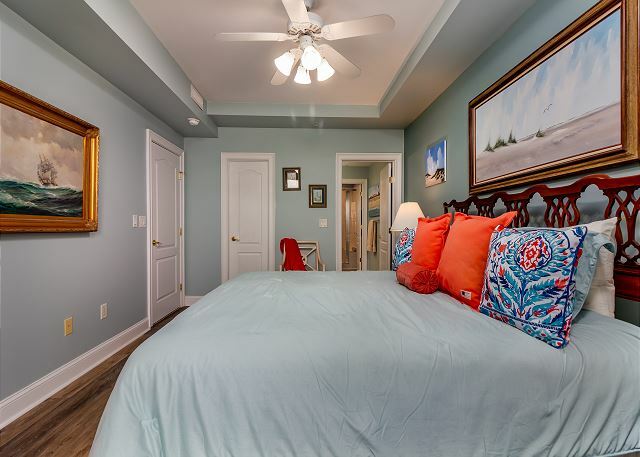 You won't find a better place to stay on Tybee. The condo was nice, the view was wonderful. Met all our needs. The property is located on the beach with small pools and beachfront restaurant/bar. Beachside offers a variety of condos with 1BR, 2BR, or 3BR & the staff was very helpful in helping me plan our annual girls beach trip. Great for groups or families! Tybee is a laid back beach community and the golf cart taxis are a fun and safe way to get around the island...$3 per person! The condo was nice and clean. It was wonderful stay. 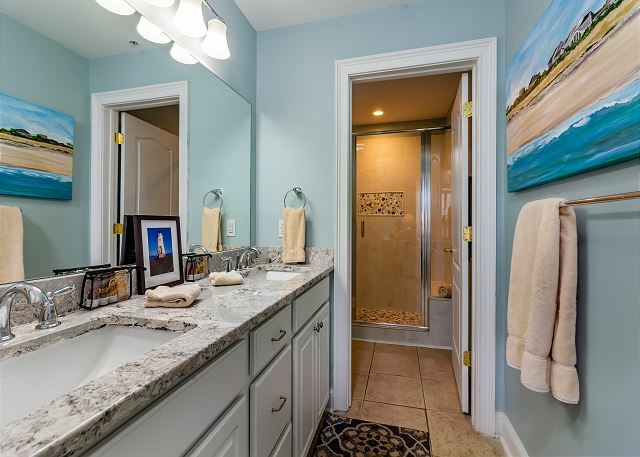 It is easily one of the best condos in Tybee. Our group had nothing but amazing things to say about the condo, and the views were awesome. The property staff were absoluty wonderful and super helpful. They made booking this condo extremly easy. I will defiantly stay here again. Wonderful vacation! We always enjoy our stay here. We were very satisfied with the property. Review by Craig & Mary S.
It was a beautiful condo, the pool was great. The ocean view was awesome. This was our 5th trip to Tybee and Beachside Colony. We love the island and Beachside is such a home away from home for us. Review by Allan & Linda B. Our second year of staying here -- looking forward to year 3!! We booked a last minute weekend getaway a few days before arriving. The place was nicely equipped. The location & ocean view were perfect. The staff was also very helpful. We will definitely stay here again! We loved condo 423. It was delightfully decorated and clean. Everything worked! We will definitely make a repeat in the years to come.